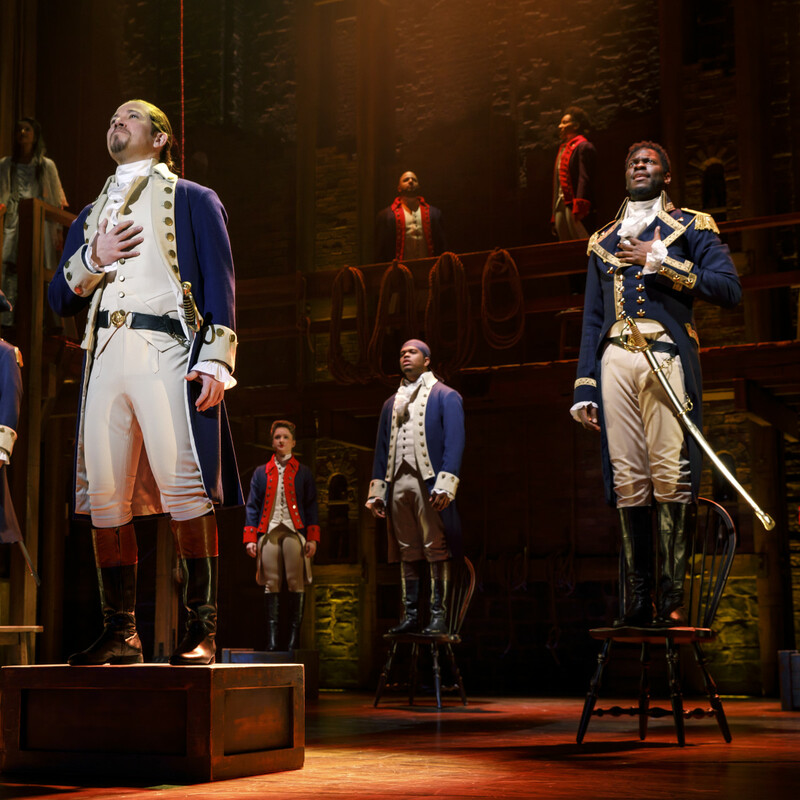 It took four years for Hamilton to get from Broadway to Dallas, but the city doesn't seem to mind having had to wait for it — it's still blowing us all away. 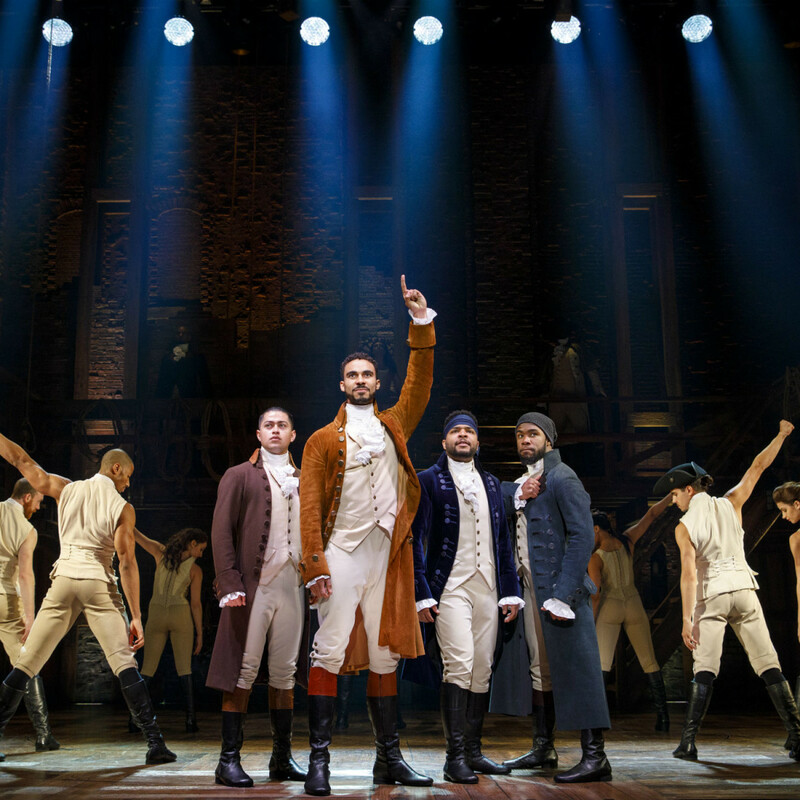 The Philip cast, as this company is known, has stormed into the Music Hall at Fair Park like it's the Battle of Yorktown, and audiences seem more than happy to surrender to the phenomenon. Yes, the show really is that good. 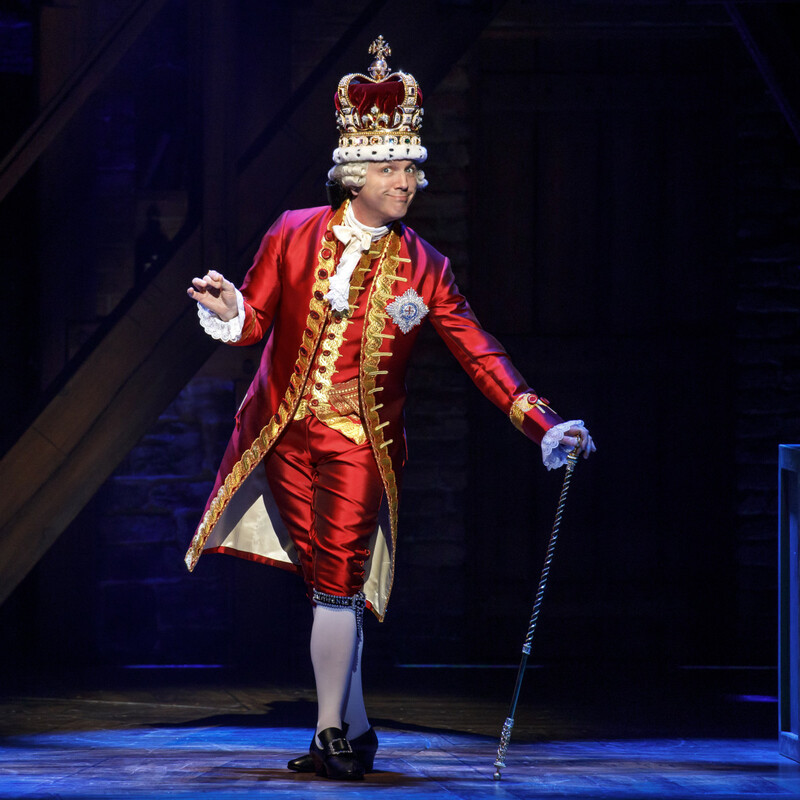 Led by an extraordinary Joseph Morales, who manages to suggest creator and original star Lin-Manuel Miranda's playfully raspy tone (but supported by much stronger vocal technique), the national tour brought in by Dallas Summer Musicals is the force that everyone was expecting. 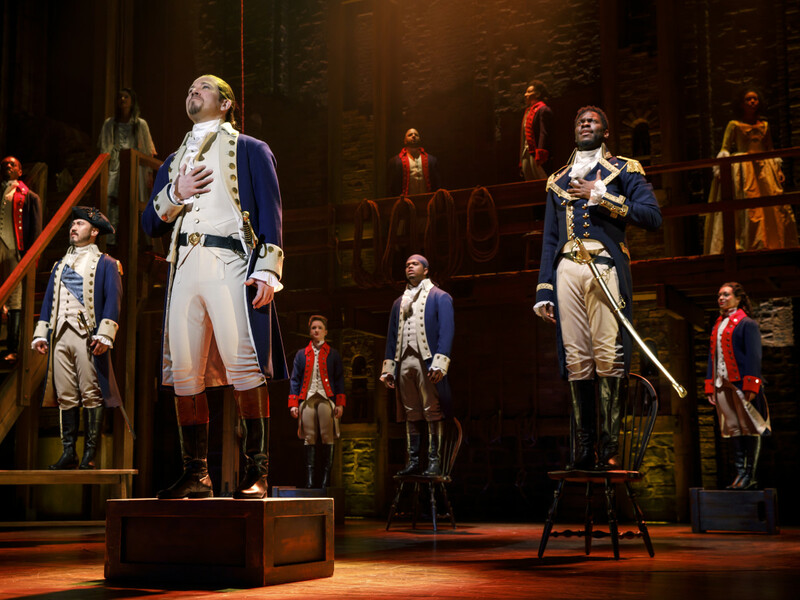 On David Korins' brick-and-wood set and drenched in warm amber tones by lighting designer Howell Binkley (those sitting higher up will also get to marvel at the patterns he casts on the stage, as well as Andy Blankenbuehler's kaleidoscopic choreography), the diverse and versatile cast spins the story of the Founding Father who created our nation's financial system, fought for the Constitution, and died young in a duel. That's not a spoiler for many reasons, least of all due to the famous opening number sung by the gun-wielder himself. 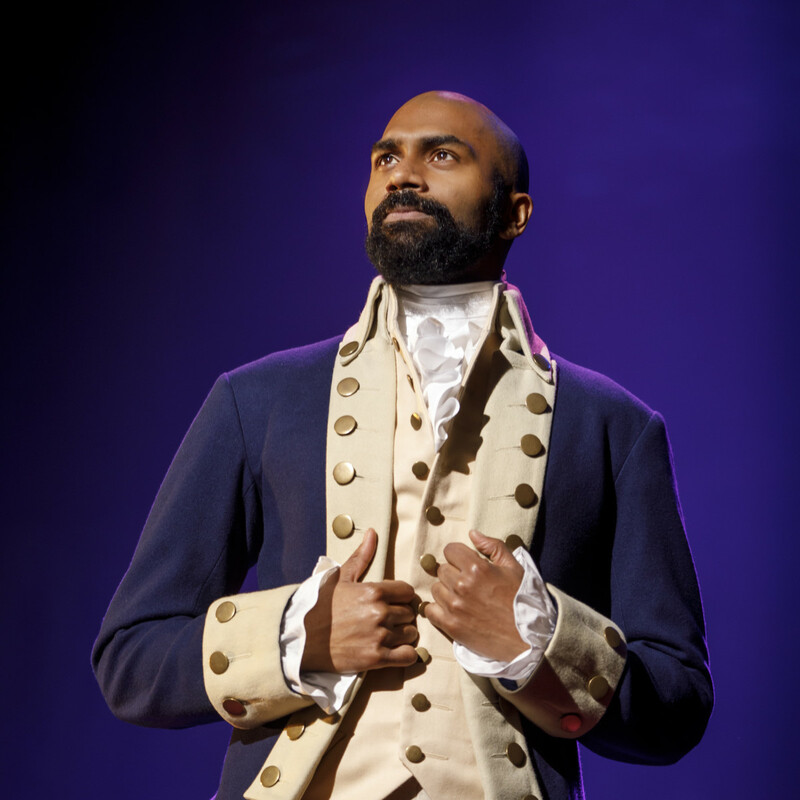 Just a few days after the original and Tony-winning Aaron Burr, Leslie Odom Jr., sang a concert set with the Dallas Symphony Orchestra, the towering Nik Walker delivers a roguish, powerful performance that makes A. Burr his own. In fact, many in the cast are working against pre-conceived notions born from the Grammy-winning cast album (which, if you aren't familiar with before seeing the Thomas Kail-directed show, give it a listen — there's a lot in Miranda's tongue-twisting score you might otherwise miss). 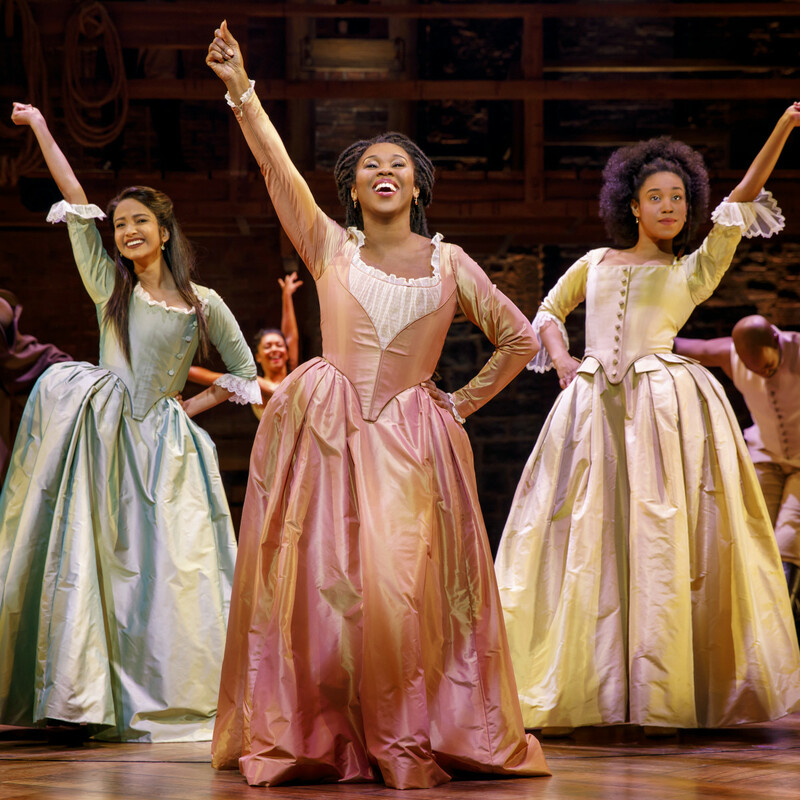 Ta'Rea Campbell is one, giving the fierce Angelica Schuyler that Renee Elise Goldsberry won a Tony Award for a far sassier twist to go with a knockout voice. 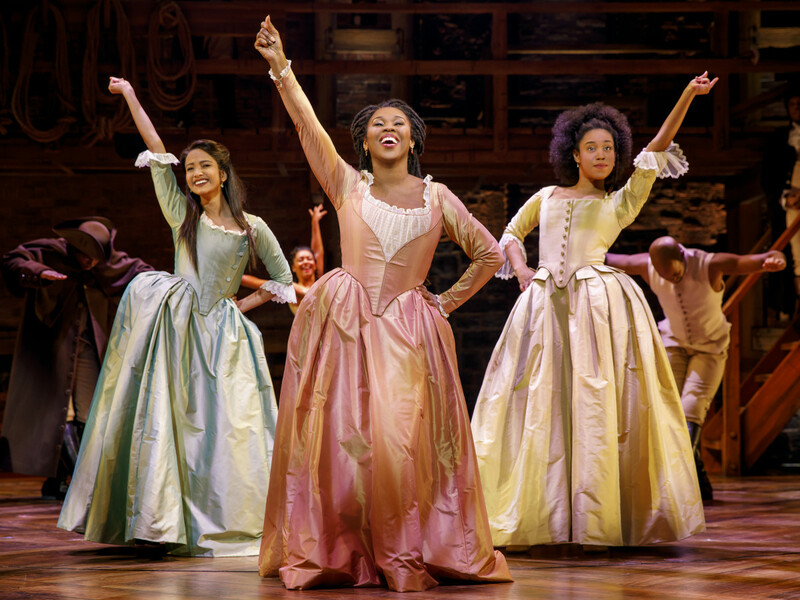 At the performance reviewed, standby Emily Jenda provoked sniffles (and more than a few audible sobs) with her heart-wrenching turn as middle Schuyler sister Eliza, whose marriage to Alexander Hamilton endures plenty of trials. 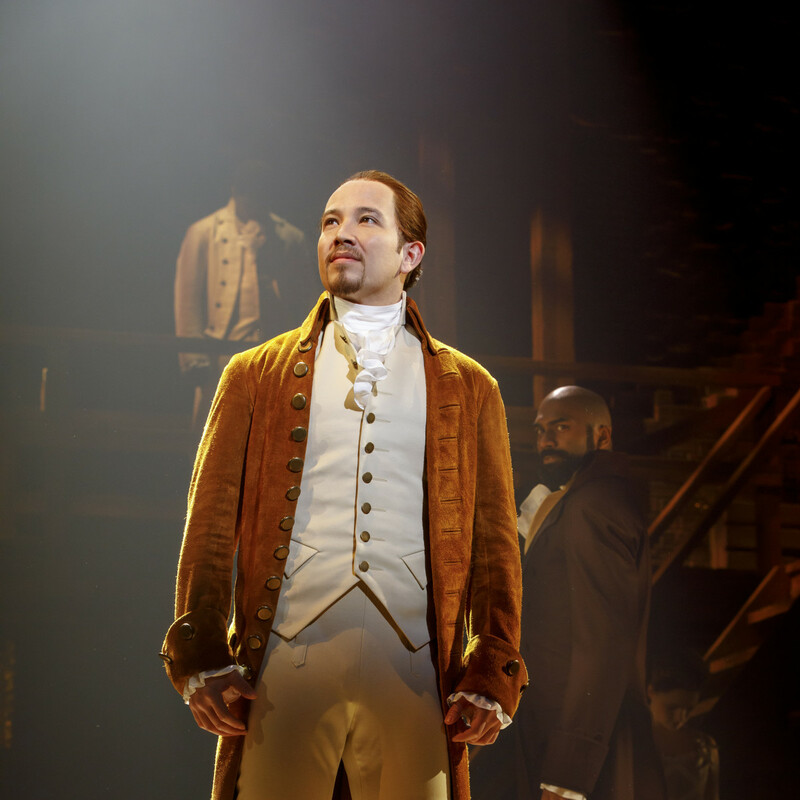 And Peggy: Nyla Sostre amuses as the youngest sister and later sizzles as the sultry Maria Reynolds, a woman who spurs Hamilton to write a damning pamphlet that effectively ends his political career. Build in time to browse both a copy of The Reynolds Pamphlet and an extant love letter from Alex to Eliza that are on display in the Music Hall lobby, along with an original copy of the Declaration of Independence, proclamations from George Washington, an early edition of Common Sense, and other fascinating historic documents. 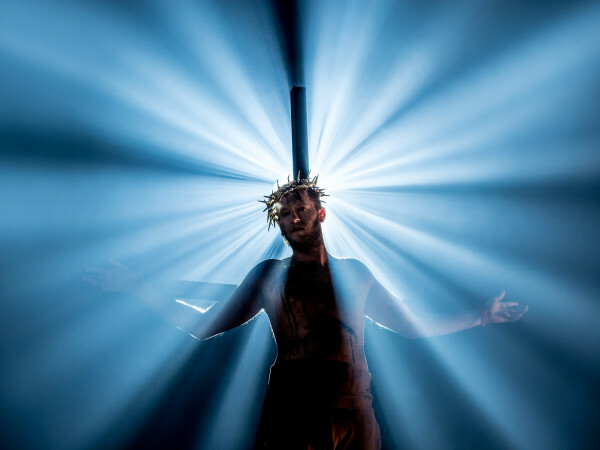 Another thing for newbies to familiarize themselves with before settling into their Music Hall seats is that several of the leading actors play multiple roles. 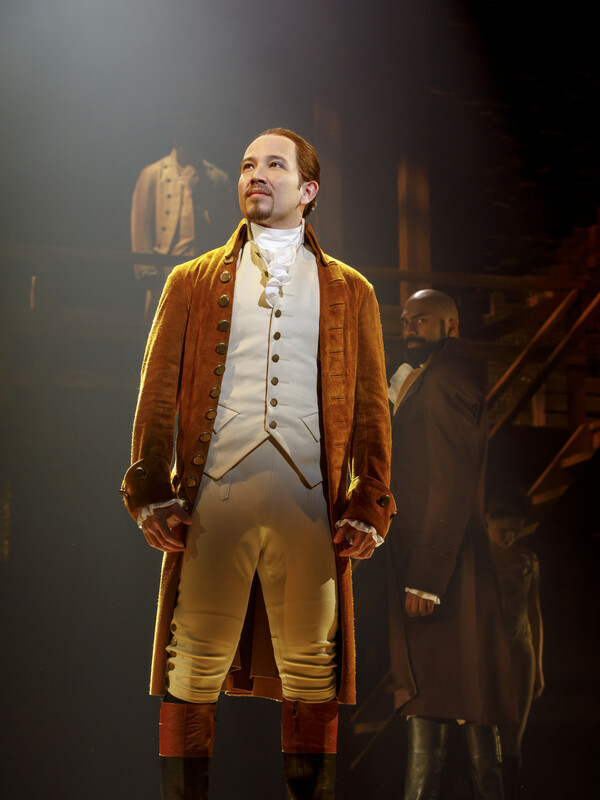 In the first act, Elijah Malcomb is the idealistic abolitionist John Laurens and in the second, he's the Hamiltons' precocious first-born. 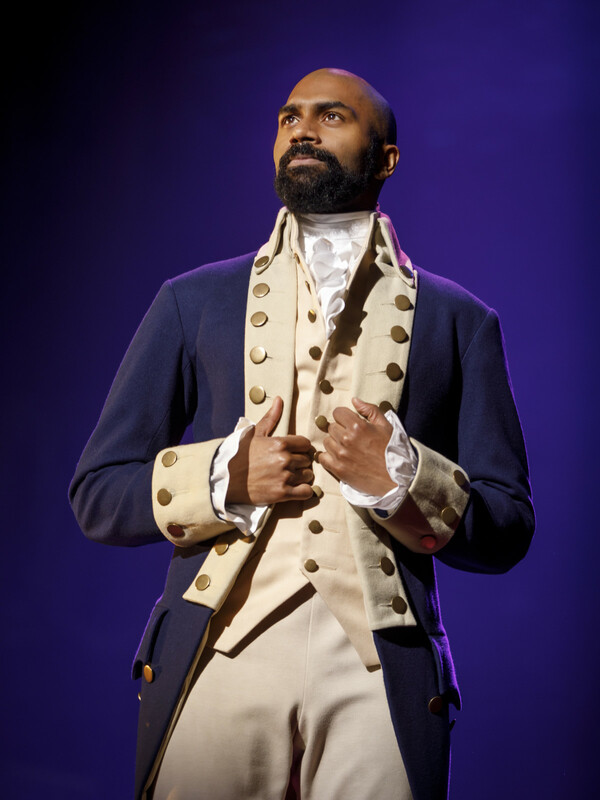 Likewise, Kyle Scatliffe starts out as the flamboyant Marquis de Lafayette and later is, well, the flamboyant Thomas Jefferson, channeling Little Richard's charisma for an exuberant performance. 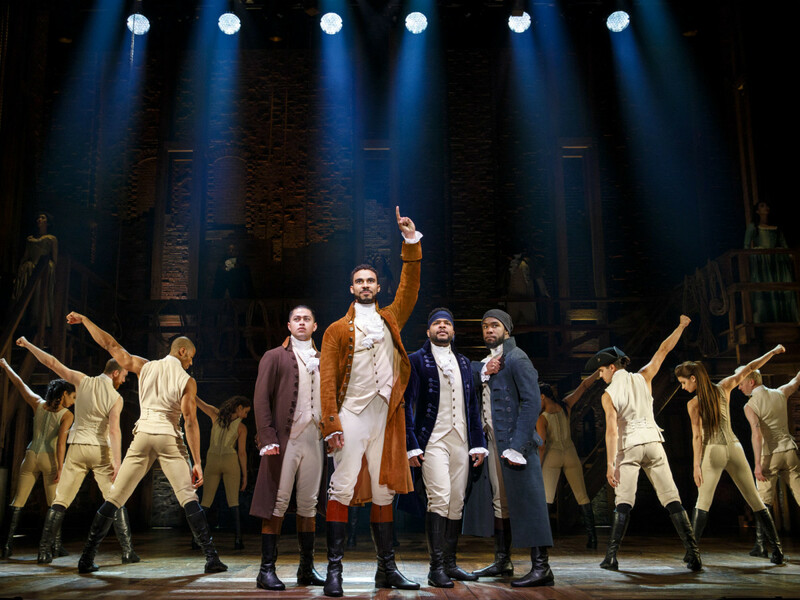 Conroe Brookes is solid and staid as George Washington, while Fergie L. Philippe, as brawny spy Hercules Mulligan, was suddenly replaced at intermission by standby Desmond Sean Ellington, who gave James Madison a gloriously catty attitude. 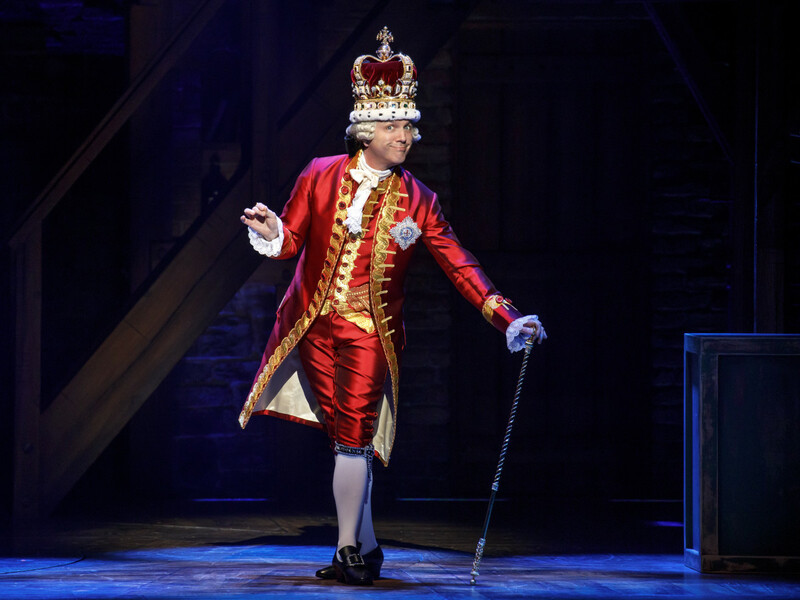 Equally cheeky is Jon Patrick Walker as a flouncing King George, whose time onstage is short, but the impact is high. And for what everyone is truly wondering: the notoriously unreliable sound at the Music Hall was crystal clear (at least at this particular performance). If you happen to disagree, try your luck at the daily $10 lottery and see if the show's even better the second time around. 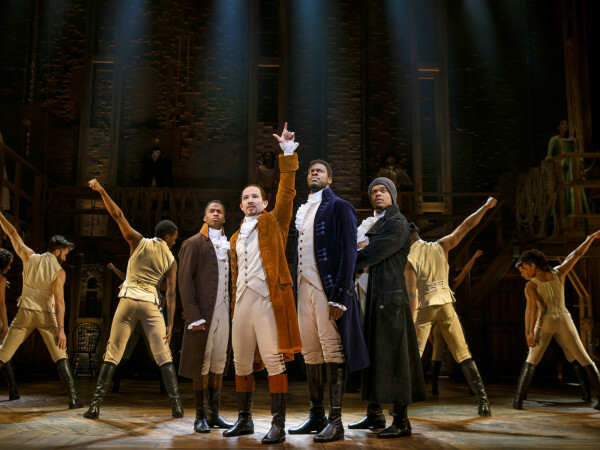 The national tour of Hamilton is playing at the Music Hall at Fair Park through May 5.